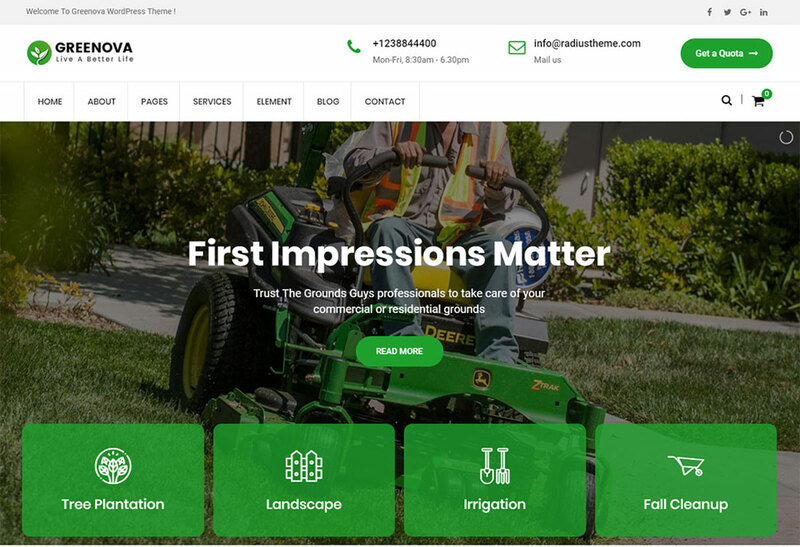 The websites we constantly interact with are a culmination of a variety of widgets, elements, libraries, plugins and code elements that together blossom into the web design experience that we encounter. HTML5 and CSS3 are the front-runners for creating such experiences, and we aren’t ever fully aware of the kind of elements that we will require for our website projects. Progress bars is one such element type that usually is used within a niche-like environment, for sites and platforms that have to deal with pricing modules, with displaying the progress of things like skill attainments, and more. 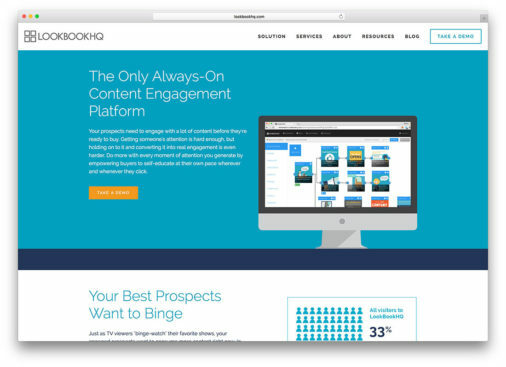 Progress bars add the interactivity to our pages that wasn’t there before. We are pleased to say this time around we didn’t have to rely on a simple code sharing site to gather all these libraries and plugins, instead we have gathered the best work available from a multitude of sources and developer authors all across the globe. Please join us in populating this list by sharing your own favorite extensions of progress bar and loading bar elements in the comment section at the bottom of this list. Progression.js is the perfect compliment to developers who are trying to integrate progress features within their forms. 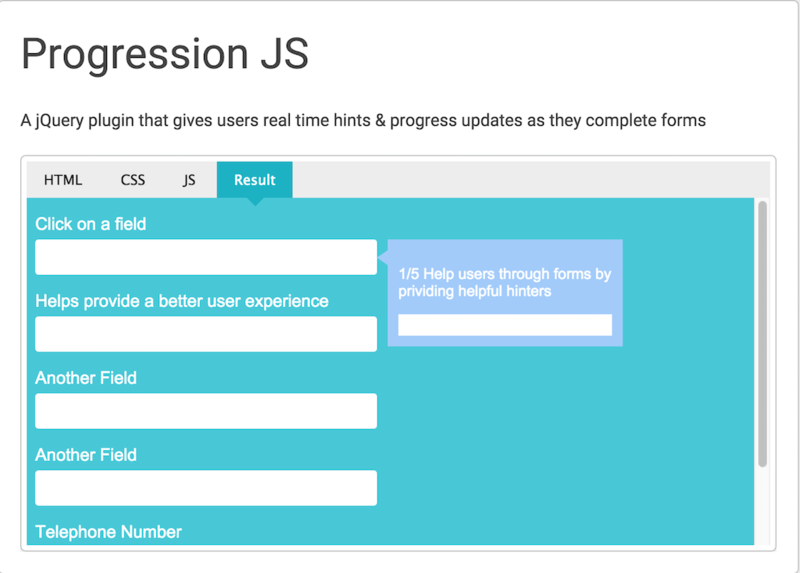 With Progression.js you can quickly add progress functionality to forms, so as soon as users begin to fill out the presented form, they are given simple tooltips and widgets that explain more in detail what is required of them, and how far they’ve progressed with the form altogether. Will also alert users when they haven’t filled out a specific part of the form, avoiding the need to refresh the page, or to submit an invalid form. ToProgress.js does pretty much the same as the plugin above, with the exception that you can a little bit more variety in terms of available features. It allows you to specify the progress bar unfolding, time limits, and even trigger it during different events, like click or show. Looks slightly more appealing too! nanobar.js might be perhaps the most lightweight progress bar plugin we have on this list, it will also display the bar above the top menu, giving users a better idea of how much of the content they have consumed so far, and how much more is left to go. Doesn’t actually require jQuery as well. MProgress.js takes advantage of the Google Material Design specification to allow designers and developers to create specific progress bars within their website designs. These progress bars can be used to indicate loading times, to display wait times while back-end processes are being done (especially for queries), or to simply show the progress of a particular project element or feature that’s being worked on. The Bootstrap Progress Bar from MindDust is a great compliment to designers who want to display their skillsets and abilities using progress bars, it will work just as well for freelancers and developers, or even agencies that want to display their abilities in a colorful and interactive way. 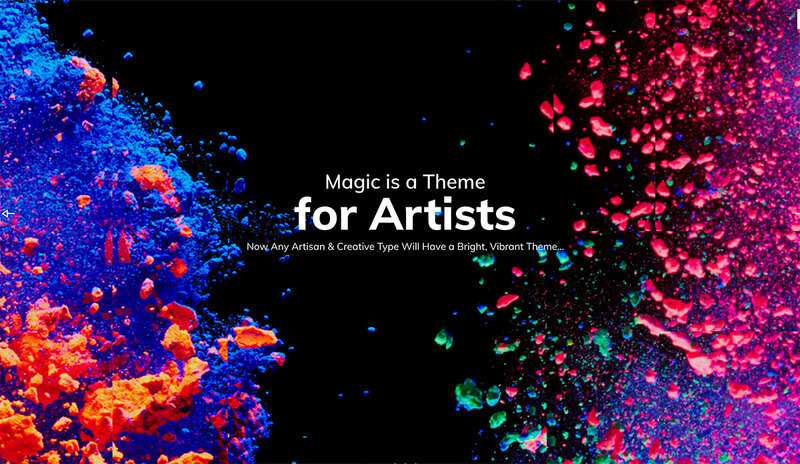 You can have them vertical or horizontal, with or without text, and so many more features to give you all the required tools to crate beautiful and stunning progress bars right out of the box. Sonic Creator lets you create and build simple Loading Bars (Circles) that you can use in between transitions for website pages, queries, or even your native applications. The website offers a fully functional demo editor that you can then shift onto your on project without having to use any external configuration settings. 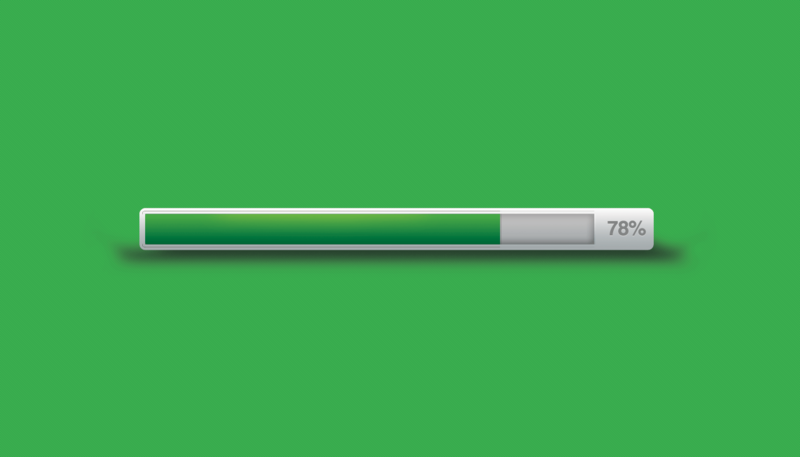 This plugin allows you to create an animated progress bar using jQuery. Just fill in the required input and the plugin calculates the progress of your goal and animates the bar. You can specify text to put before and after the amount raised. For example if you are running a fundraiser, you can showcase how much funds have been acquired through a beautiful progress bar, or you can display how much has been accomplished for a particular project in the form of percentages or tasks left to do. Progress.js is a dynamic progress library built with jQuery, HTML5, and CSS3 to help developers to display the progress of loading elements like content, visual content, and simple text content. You are in control over the height and color for the loading bar, giving you a peace of mind when it comes to aligning the progress bar with your web design choices. 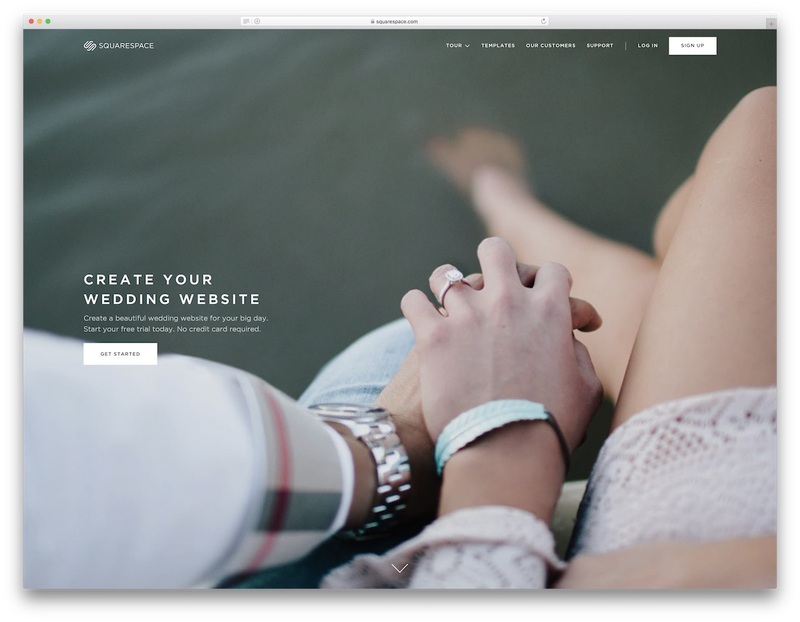 PACE offers a ton of different themes and styles that you can use to display whenever there’s a loading interaction between your website or app pages. It’s fully optimized for mobile devices. Loadie is a beautiful jQuery loader plugin that will display a top navigation widget whenever the user is interacting with your specified element that requires a loading bar. Spin.js as the name suggests is a simple spinning loading element that you can use to display whenever it is necessary for a website element or query to fully load. Easy to customize to your own requirements and standards. LoadGo is a modern progress bar library for letting you use your own specified images as loading bars for any situation imagine. You can trigger the loading bar to appear automatically. 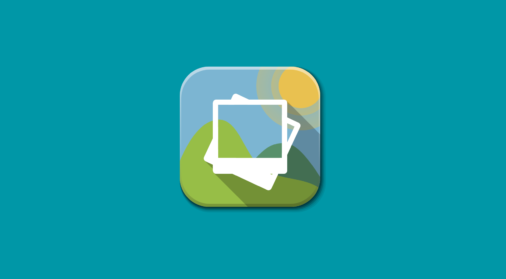 You can also activate a dynamic action upon which you can cover the image in the loading bar animation transition. Use a combination of percentages and colors, or each one individually, depending on what you need for that particular situation. ProgressBar.js uses SVG animations to provide a progress bar experience that will make a statement. You can use it to create loading bar effects for file uploads, for checking forms (like password strength), or simply to use within an executed query within the page. Circular Progress Bar’s homepage is a full-on editor for the actual progress bar that you can use to customize your own circular loading bar for whatever use necessary. 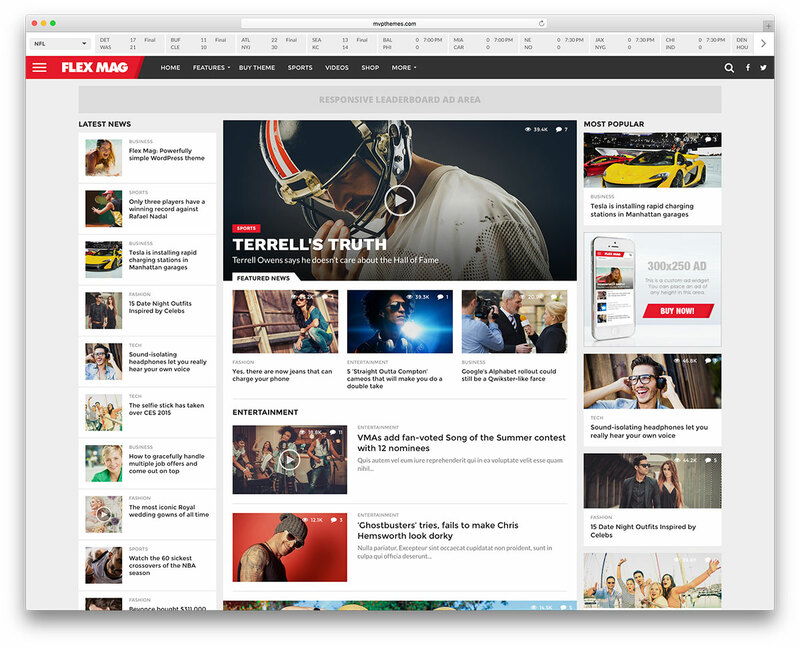 Try a number of different skins to figure out which particular template will best work with your current web design. 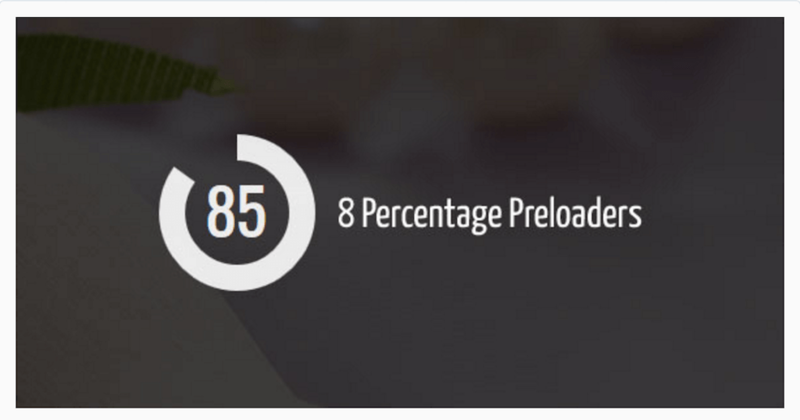 PercentageLoader is a truly modern approach to displaying circular loading and progress bars to your website and application visitors. The use of HTML5 is so evident here that you may not ever want to switch back to other solutions, as PercentageLoader makes it a priority to integrate modern design in your existing design template. With so many beautiful progress bars and loaders to choose from already, is there anything else on the market that we could possibly wish to explore? We are wrapping up our list with the inclusion of several premium jQuery plugins for displaying loading and progress bars. Furthermore, we do feel that these are the ones worth investment, depending on the current web projects you are working on. Quite often the reason we don’t opt for a particular plugin is because there aren’t enough examples to choose from. 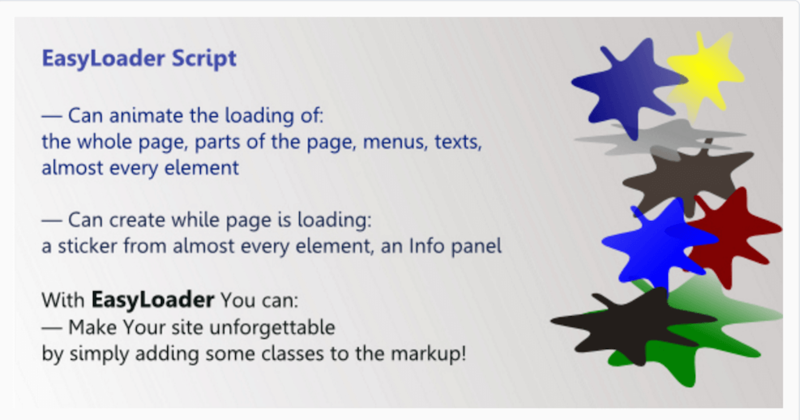 This loading spinner plugin is the perfect solution for those situations. 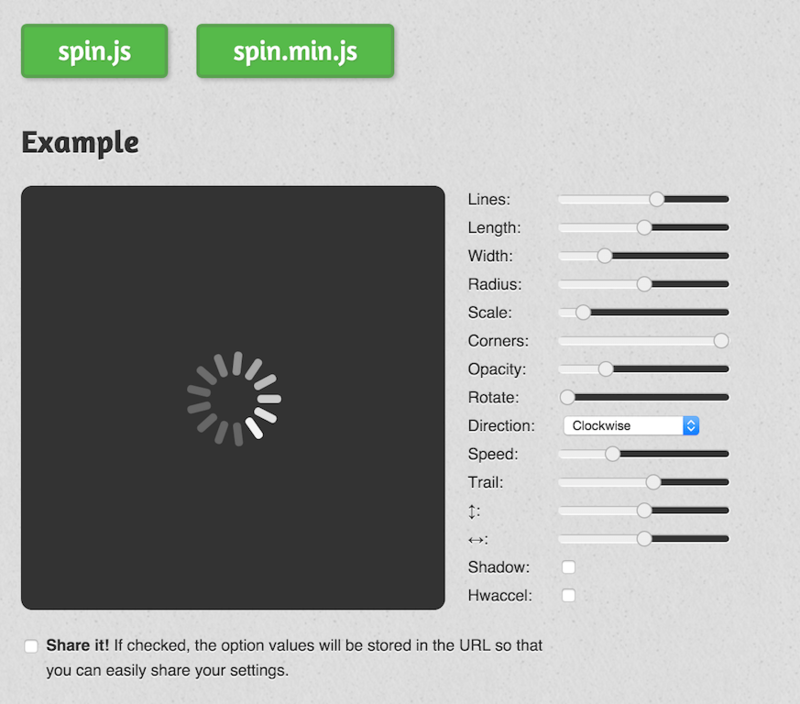 It also offers 17 varieties of loading spinners to better reflect your web design parameters. Within minutes, you can have a ready to go spinner that will look amazing on your website or application. 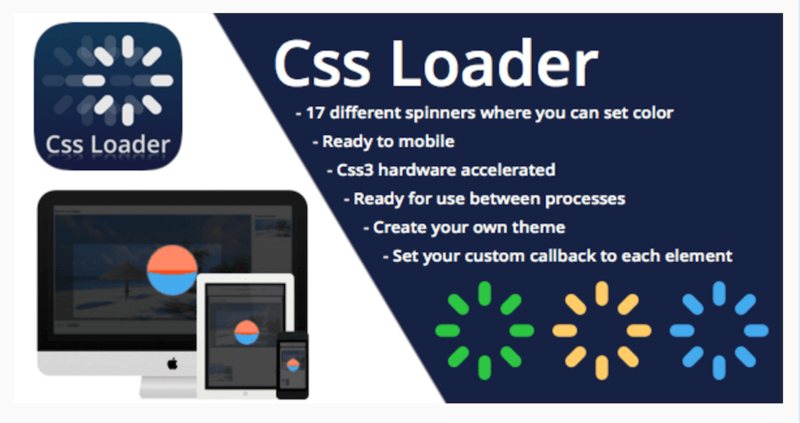 Mobile device compatible, it uses CSS3 technology to provide a lightweight loading spinner experience. 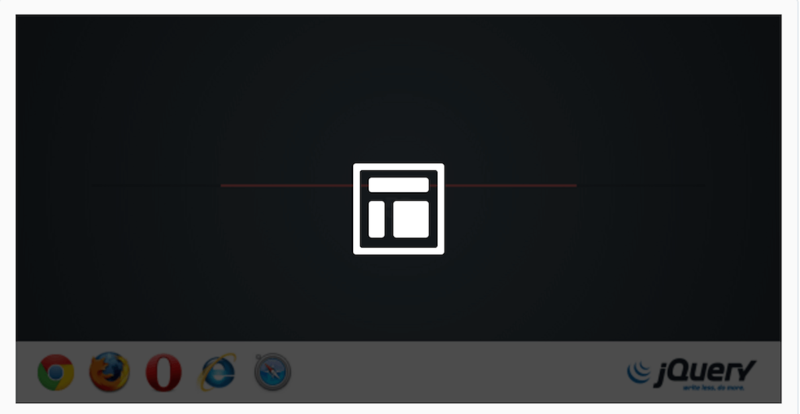 EasyLoader gives you the functionality to build animated effects after your website pages have loaded. You can also use it to promote other pages, create notification alerts, and elements that indicate that a page has fully loaded. Easy to work with, and comes with a six month support package. Percentage Preloader comes pre-built with 8 different styles to choose from. You canalso select it in the light or dark color scheme. Moreover, the developers built Percentage Preloader on CSS3 and optimized it for retina display. 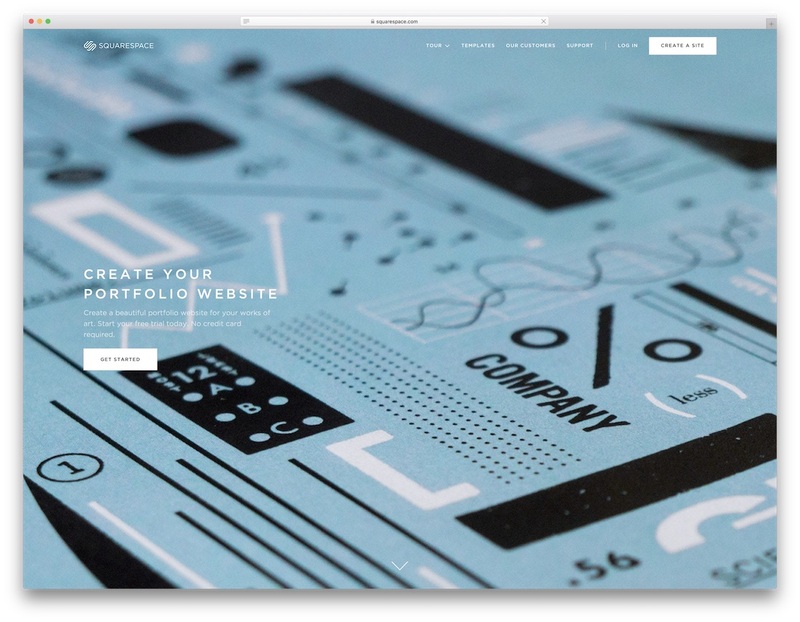 This makes it lightweight and accessible for mobile and desktop designs. MelonHTML5 is one of the most sought after premium preloaders on the market. You can easily use MelonHTML5 to preload visual content before anything else appears on the webpage. 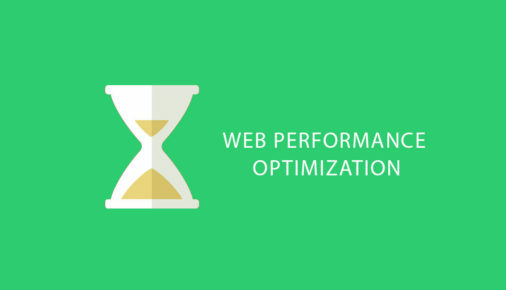 You can also display loading progress of any kind of website interaction. There are variety of styles to pick from. Moreover, the plugin detects caching modules and plugins to ensure maximum availability for the content it is working with. Thanks for the list. I ended trying Pacer out on my blog. Looking forward to more of your writing.